BBC Sounds app replaces iPlayer Radio, takes on Spotify, Apple Music and Tidal | What Hi-Fi? The app is available on iOS and Android, with curated podcasts, radio, and music content based upon your listening history. The BBC has launched a replacement for its iPlayer Radio app, which has been going since 2012. Available now, the BBC Sounds app offers unique recommendations by learning from your listening preferences. And with over 80,000 hours of content available on the platform - in the form of radio, music and podcasts - that's certainly better than having to scroll through it all. The user interface remains straightforward: a white and orange colour pallete and swipeable tiles for the different kinds of content, while the live radio section keeps the charming 'tuning dial' found in the iPlayer Radio app. You won't be able to download content via the app just yet, but this feature will be added soon, alongside Chromecast and CarPlay integration. The BBC will keep both apps running concurrently until all features from the older app are moved into BBC Sounds. 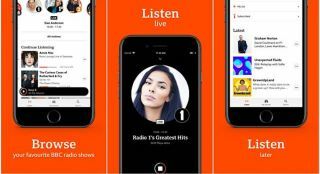 Though its app faces tough competition from the likes of Spotify, Apple Music and Tidal, the BBC hopes that improved curation will make it a strong contender. With the service being funded by the licence fee, there are no adverts either. The BBC Sounds app is available to download now, on iOS and Android.